Love your pet? You’re not alone. With all those accessories, pets can be a common cause of household clutter. 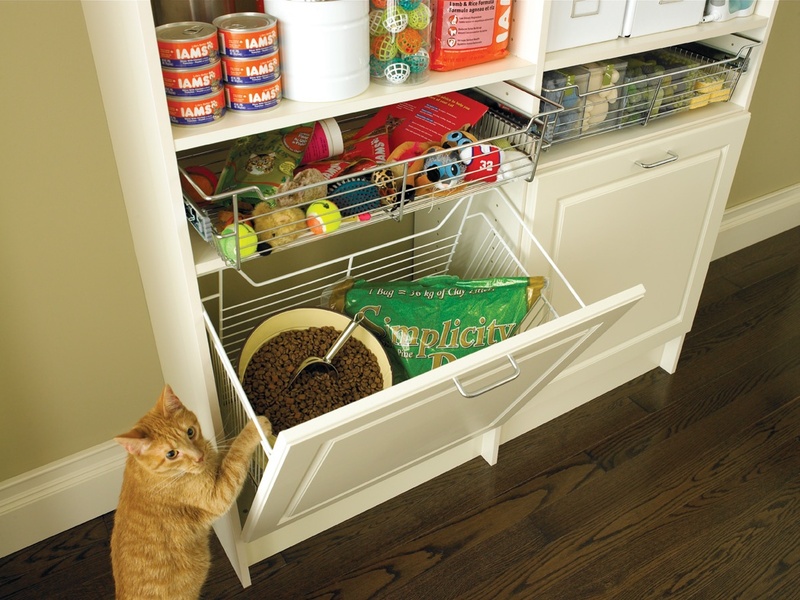 To stay organized, make a “pet station” in your entryway, laundry room or garage. Designating one location for toys, treats, leashes and grooming utensils keeps items consolidated and easy to find. 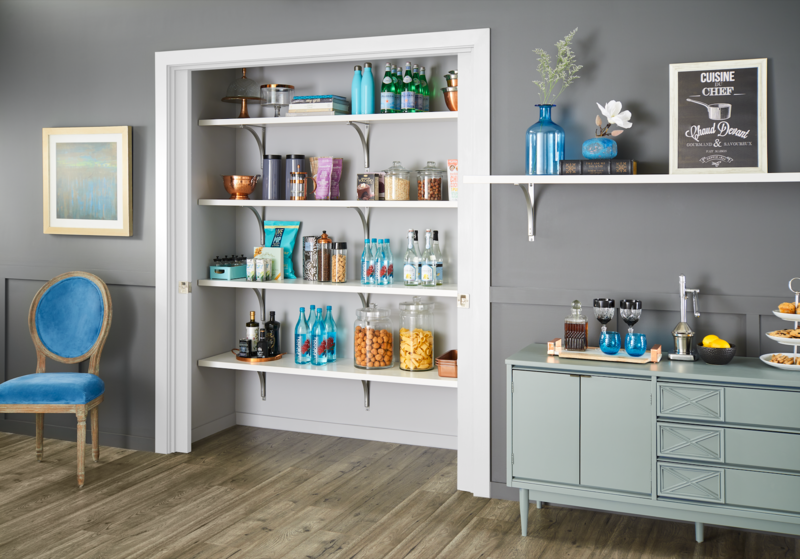 Use pull-out wire drawers or fabric bins as a catch-all for toys and store treats and grooming utensils in stylish glass jars. Hang up leashes and collars, being sure to have an umbrella nearby in case you have to walk the dog in the rain. Keep food hidden, but handy, by storing oversized food bags in a pull-out hamper or large plastic container with a lid. Keep a cup or scoop with the food to avoid the guaranteed mess associated with shaking food straight from the bag into your pet’s bowl. To ensure you’re ready in case of an emergency, organize your pet’s immunization and veterinarian records in a folder and store it with their other supplies. 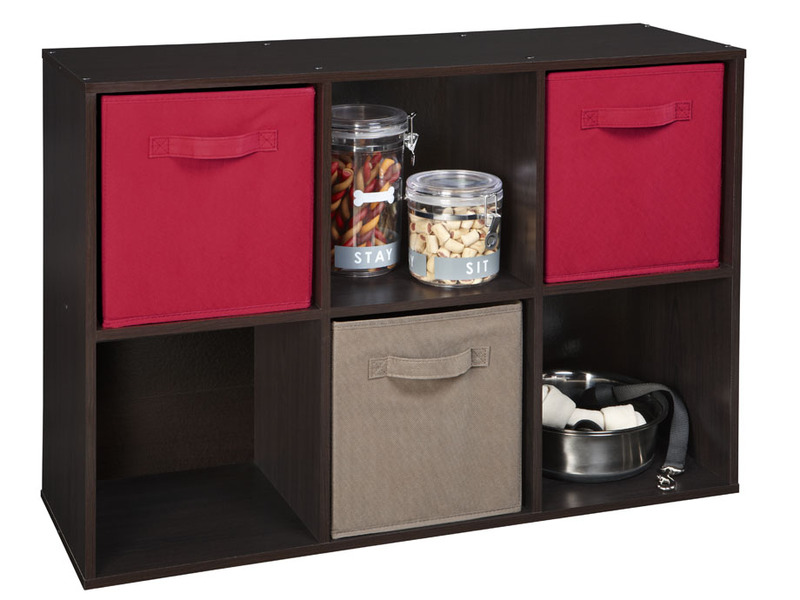 If space is limited, a ClosetMaid 6 Cube Organizer makes a perfect “mini pet station.” Use Fabric drawers to keep toys, grooming supplies and food organized and out of sight. 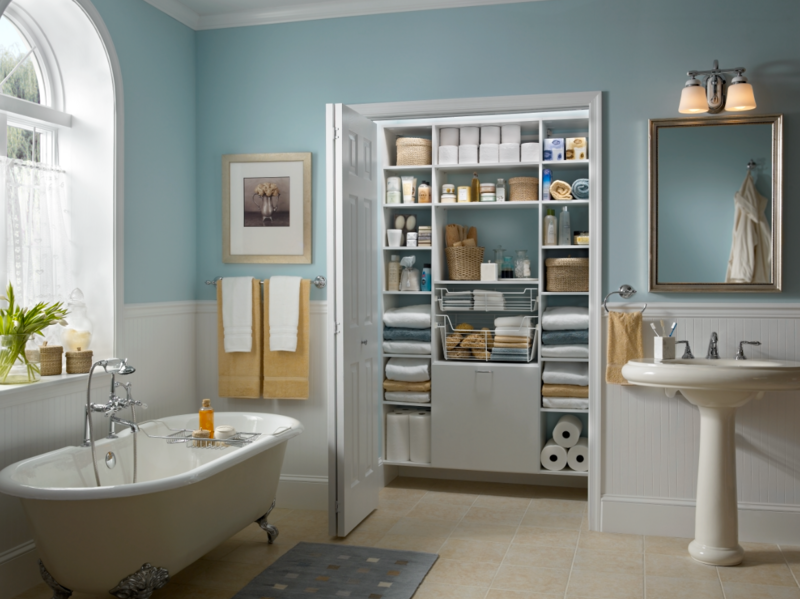 Be sure to subscribe to our Storganization Blog in order to stay up to date on additional storage and organization ideas. 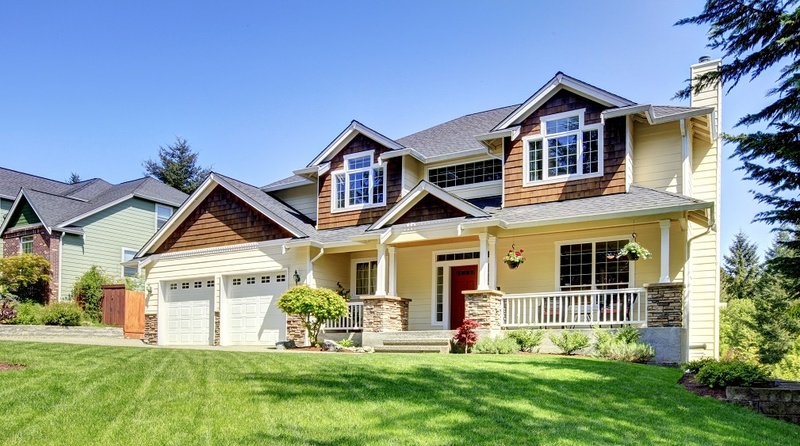 0 Comments on "How to Create a Pet-Friendly Home"